Facebook/Relax Kids TamworthThese two apples taught students a powerful lesson. A teacher in England thought of a genius way to explain the harmful effects of bullying, the Daily Mail Reports. 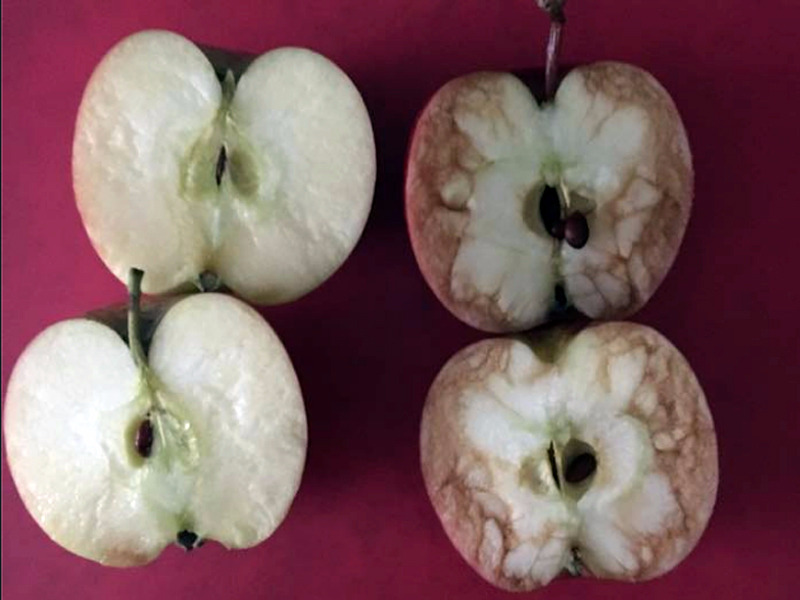 Rosie Dutton, an instructor at Relax Kids Tamworth, used two apples as part of lesson on the hidden damage caused by hurtful words. Early this week, Dutton posted the lesson on Facebook, where it’s since been shared more than 160,000 times. She presented the class with two apples that looked identical. What the children didn’t know was that Dutton had repeatedly dropped one of the apples on the floor before class began. Next, she passed around the second apple, instructing the children to compliment it. Finally, Dutton cut both apples open. The apple that the class treated kindly looked fresh and unblemished inside. But the other apple — the one they’d treated poorly — was bruised and mushy beneath its skin.